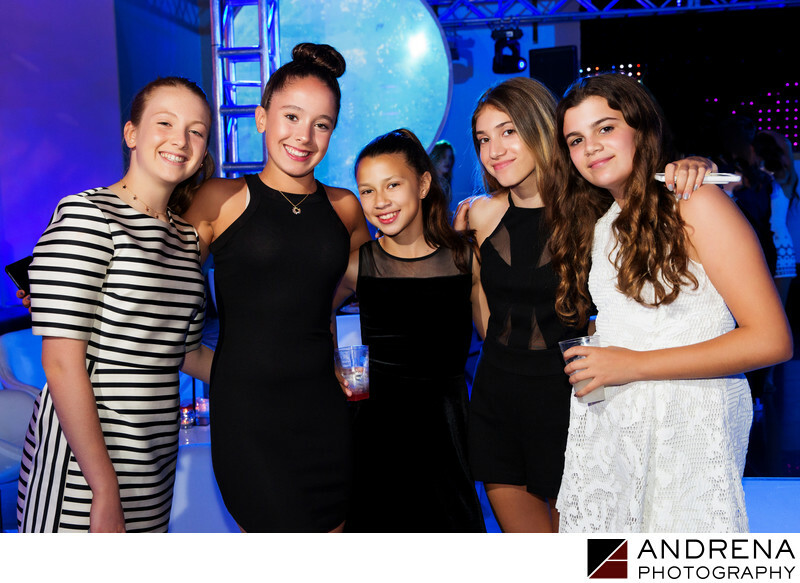 As Bar Mitzvah photographers in Los Angeles and Beverly Hills, it is always our goal to get great portraits of the party guests. Often while one photographer is documenting the family, another will be making rounds at the reception finding new faces and different iterations of groups to photograph so that your event coverage is extensive and complete. We use two lights to ensure that even a simple group photo is well-lit and professional.